You can choose the arrival place!! Children of 5 years and under are not charged,(on someone's lap) If you need a seat for your kids, you have to pay children fare. 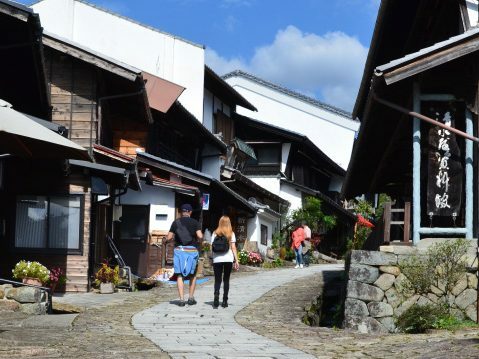 You can enjoy two world heritage site “Ainokura” and “Shirakawa-go” with English spaking guide. 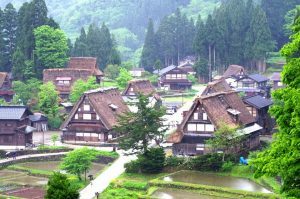 Our guide will talk about how to spend the world’s heritage, Japanese foods,other seasonal information of Hida that is not listed in the guide book.we will provide a comfortable bus trip for you. Reservations accepted three month in advance. If there are any seats available on the day, you will join our tour. 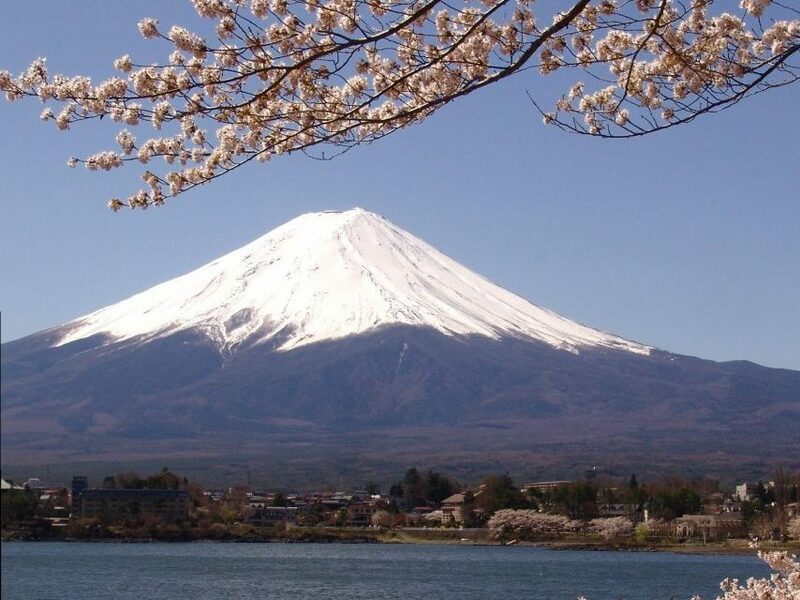 ※The Takayama festival will be held on Ariil 14 ,15 and Special exhibition event held on May 1.Buses can not stop at “Takayama Jinya” and “Ryokan Tanabe” due to traffic restrictions. 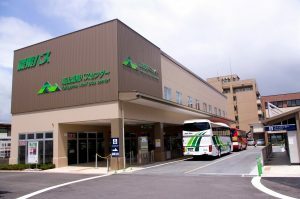 Please come to Takayama Bus Terminal. “Tenshukaku observatory” is located on top of a small hill, overlooking Gassho-stayle houses. You can see the beautiful scenery from the observatory. 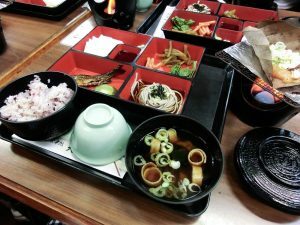 Please enjoy Japanese lunch at “Tenshukaku” restaurant. 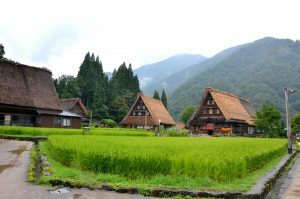 Arrive at Shirakawa-go village. 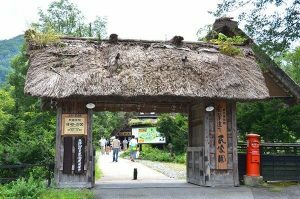 You can see “Gassho Zukuri Folklore Park”. 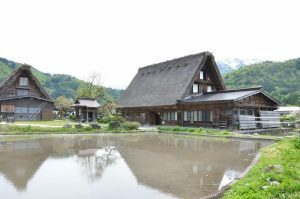 (admission fee included) Shirakawa-go is situated at the foot of Mt.Hakusan.It’s a quite mountains village with rice field and a river running through it. 114 thached roof stand together in the village.You can see the beatiful landscape in there. 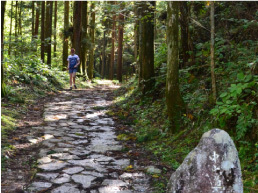 ※Course B will finish in Shirakawa-go. Thank you for joining our bus tour! Lunch menu can not be changed. Please be aware we may not able to run on time depending on the traffic situation. Reservation is required. 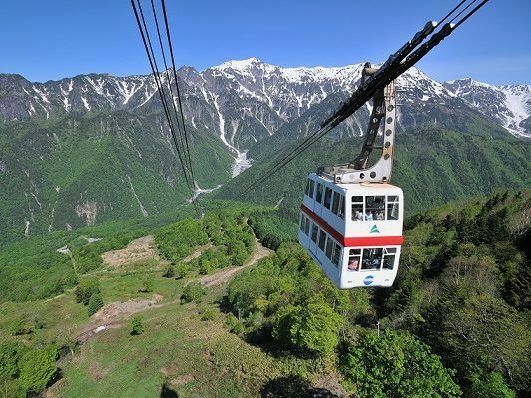 Reservation can be made up to 3 months in advance. If there are any seats available on the day, you will join our tour. 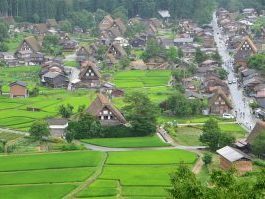 Ainokura Village is surrounded by the native beech woods, 23 thatched roof houses stand at the mountainous site along the Shogawa River.